Three years after the Vancouver Winter Olympics, the prestigious competition is back in the spotlight as it travels to Sochi, Russia. Having hosted only one Olympics in history, Russia has its chance to exuberate its brilliance to the world. In the spirit of the games, Russia has spent each of the last four years displaying its various artistic accomplishments. Starting in 2010, Russia’s first theme was cinema; extending across the country, Russia promoted film. Over the course of the year, several multi-day events premiered contemporary Russian films. One such event was devoted solely to sports movies, displaying over 80 films from 14 different countries. Sochi itself held an Ecological Film Festival called “Green Carnation,” where inflatable spheres were posted up across the Arts Square, giving viewers a full dome movie experience. Throughout the year, Russia enhanced these events with high-tech gadgets, superstar appearances and awards shows. Moving on to year two, Sochi’s second act was theatre. Russia upped its ante by bringing more and larger shows to its people, including traveling shows that invited all to attend and admire the magnificence. Moreover, Russia held competitions to promote theatre for actors and directors. The theatre year even allowed young actors and directors to bring in a new wave of art from fresh minds. 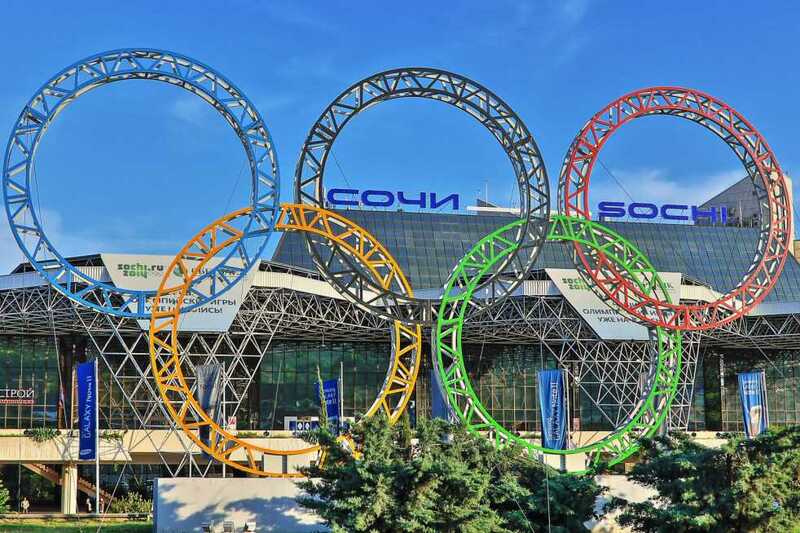 A key feature of this year was the Marathon, a three-day escapade where Sochi engaged in continuous open-air performances, engaging over 2,000 participants. Not only did Sochi partake, but also larger cities, such as Kaliningrad, painted a picture of different cultures present within the large mass of Russia. Bringing in its musicians, Russia aimed to show its variety and diversity in music last year. One special event was the Sochi AquaJazz festival, bringing in world-famous jazz artists from Russia and America. Artists performed all over the streets of Sochi for three days and brought together the different forms of jazz. Another milestone was the Sochi Organ Festival, a month-long event that united five European countries. During this period, over 1,800 guests attended organ, piano and cello concerts. Similarly, Krasnaya Polyana Red Rock festival brought in international rock artists to one stage to perform. This popular event had over 2,000 attendees, and even more virtual viewers watched performances by Scissor Sisters, Bi-2 and many others. In this final year, Russia has opened the doors to all its world-famous museums. This May, Russia celebrated National Museum Day, promoting its exhibitions and classes. With galleries in over 30 different regions, all of the museums were open to the public, offering classes, concerts and theatre performances. Reverting back to sports, a couple of Russian museums collaborated to bring together a unique exhibit called “Mascots of the Olympic Games.” The display will showcase animals that have been mascots of the games for many centuries, leading up to current day with the Hare and Polar Bear. With Russia having its chance to be center stage once more, it has taken the proper steps to show the world its culture, history and growth over the past few decades. Not only does it promote internal welfare for the country, but it also creates a new outlook on Russia as a sports, science and now artistic capital.